Here is another Nivea Giveaway from Kikay Corner. I have been far too busy which just about explains the delay of this blog’s raffle giveaways. But whenever I see this boxful of products in front of my dresser, I know that I have got to do this one time or another before they pile up into a massive mess. For one, I can make use of the room for the Christmas gifts I need wrapped. To get the Proper Link: hover to the time of your shared post (e.g. 4 minutes ago), right click and click on “copy link address.” Paste this to your comment to make your entry count. 6. Deadline for entries is one week from now, Nov 18, 2011 at 11:59PM. As with my previous giveaways, I will be requiring the drawn winners to send me a scanned ID for verification. There were a few entries in my previous giveaways that were suspicious. Let us do this to be fair with the rest of the contest joiners, shall we? 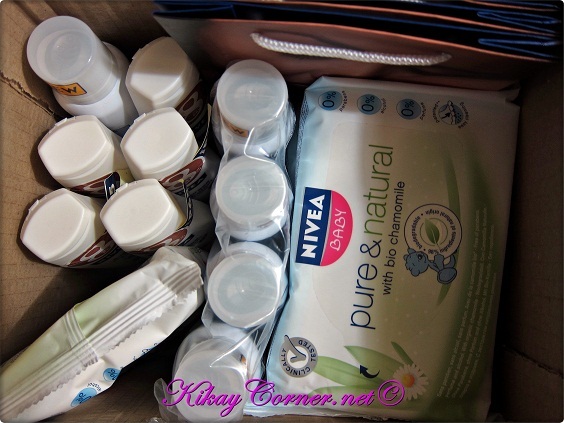 Winner of Kikay Corner’s Nivea Giveaway (Nivea Pure & Natural Deodorant, Nivea Pure & Natural Wipes and Nivea Express Hydration Lotion) will be raffled via random.org. 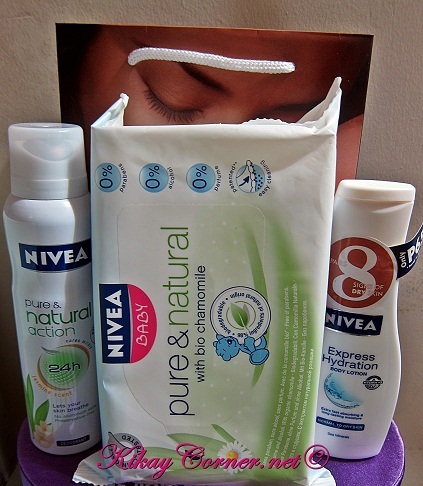 Love to win these!I;m aching to try the Nivea Express Hydration! Joined po! Thanks for this giveaway! Thess Enriquez and email is jarlraine at gmail dot com. sorry sis, I guess I have entered an incorrect link..